Here at ShootDotEdit, we specialize in photo editing services for professional wedding photographers. 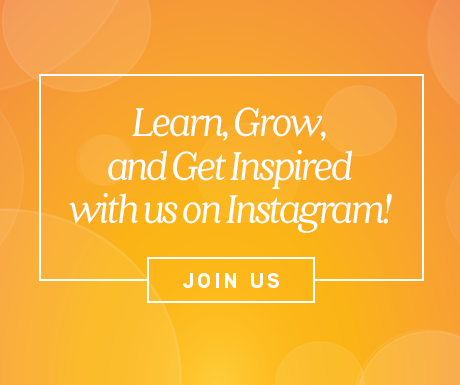 We also partner with industry leaders to discuss topics that are relevant and valuable to you. One of those topics is wedding album design, which like editing, can be time-consuming. Wedding photo albums are timeless entities that allow your couples to look back on their images and are a great way to increase your profit. One of the keys to success is to build processes and systems that allow you to quickly and efficiently work on designing albums, without spending all of your time. 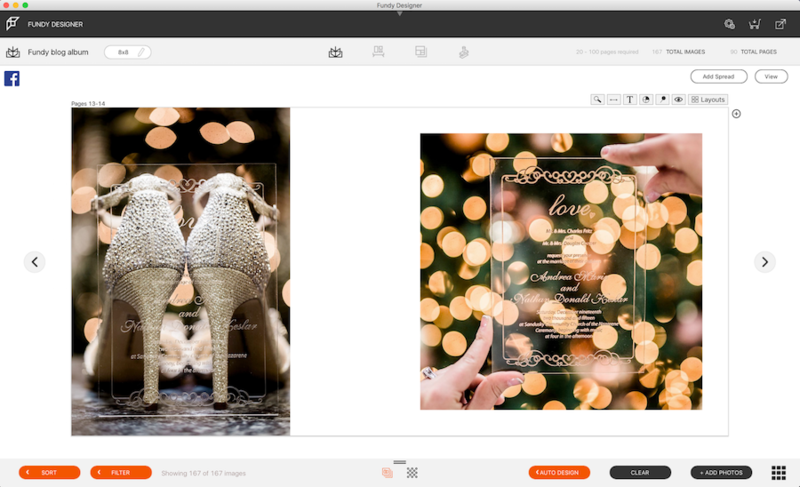 We reached out to the founder of Align Album Design, Melissa Jill, to find out more about their solution to the best wedding album design process. Plus, we’ve added a few bonus tips to help you have the fastest album workflow possible! Melissa Jill is an internationally recognized Phoenix-based wedding photographer who has been shooting weddings for 14 years. 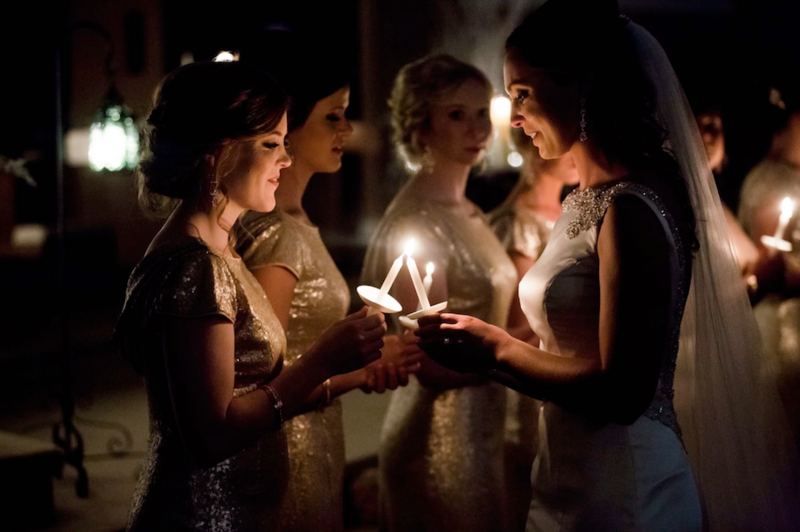 She photographs 10-15 high-end weddings a year and also has 4 associate photographers. 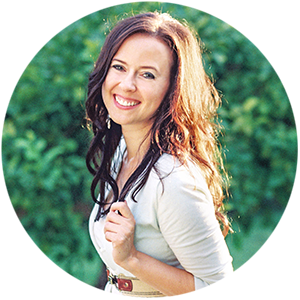 She has developed an extensive database of free information for photographers on her blog. She also mentors photographers one-on-one. 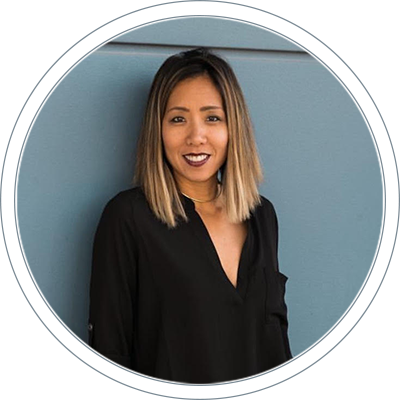 She started an album design company called Align Album Design that helps photographers streamline their album workflow. She is passionate about business, has worked hard to maximize the efficiency and profitability of her studio, and loves helping other photographers do the same. 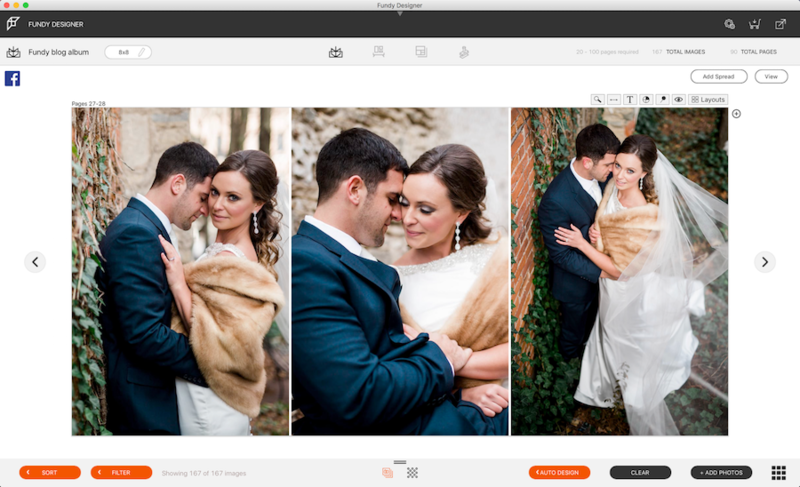 The Album Start-Up Kit has everything you need to quickly add albums to your photography business and increase your profit per wedding. It takes the guesswork and trial and errors out of the process, which helps you be as efficient as possible (and save time in your workflow). Here at ShootDotEdit, we are proponents of anything that helps save you time and allows you to focus on what is most important for your photography business. The Album Start-Up Kit comes with 11 featured tools that are meant to streamline your album workflow. Below, Melissa shares a brief description of the tools and why they are a valuable part of the kit. Each one of the tools available is meant to help you speed up your workflow and find success when it comes to creating and selling albums. The first tool available in the kit is a custom sample album. The next tool in the kit is a pricing guide. Another tool in the kit is customizable text you can use for your website. The next tool available in the kit is stock photography. A next tool in the kit are email templates you can use for client communication. The next tool in the kit is text to help you with your contract. A tool Melissa and team included in the kit is initial client meeting talking points. Another tool in the kit is color swatches to use with clients. The next tool in the kit is a sales secrets guide. Another tool in the kit is a start here checklist. The final tool available in the kit is an exclusive Facebook Group for purchasers. Learn more about the Album Start-Up Kit and how to implement it into your workflow here. Keep reading below for bonus tips and tricks about wedding album design and sales and how to make the process as efficient as possible. Melissa Jill shared several helpful tips and tricks for how to use the Album Start-Up Kit and incorporate album sales into your workflow. When you effectively sell albums to your clients helps you showcase your creativity and assists you in increasing your profit. We mentioned it above and we will say it again – creating albums is time-consuming. To help speed up the process, even more, we put together a few useful ways to help you create a simple album workflow. From the months leading up to the wedding to the day of, the bride and groom have made countless important decisions to create a memorable experience for their special day. When it comes to choosing images for their wedding album, take the responsibility off of your clients’ shoulders and choose the images yourself. As a photographer and storyteller, you know what story you want to tell through the images and which are the best to use. Allowing clients pick their images can take a long time, even if you give them a deadline. They get preoccupied with other areas of their life, and they may also underestimate how long it takes to select images for an album. As they try reviewing the images you returned to them, too many options can leave the clients overwhelmed, and they could have a tough time narrowing it down. When you have the first meeting with your clients, bring a sample album to give them an idea of what your albums look like. Presenting your clients with a template of their potential album will allow you to minimize the options, which makes the decision-making process easier for them. Have a couple of pre-designed album templates, and stick to those. By standardizing your designs, you will save time for each album by reducing the design and image selection time since you know exactly what the spreads are going to look like. You are also creating a unique style for yourself with your albums as a whole, which will make your business stand out. As soon as the bride and groom make the decision to work with you, they are giving you creative control of their wedding images and albums. As conversations take place about the wedding album, ensure you set expectations on how the revision process works. It is important to manage their expectations about the album process on the front end, so they do not assume they receive an unlimited number of changes to their album during the design stages. Inform your clients that you will allow them to make a few changes on their albums, and set your conditions to what will be the most time efficient. When you give clients too much power to change things, this can extend the process by months. Limit them to 2-3 rounds of revisions, and if they want to make more, consider charging them. This will also help clients to take the revision process seriously and only ask for changes that are really important to them. Though you are a photographer who wants happy customers, you are also a business owner who needs to continue to meet goals, book clients and make a profit. Once you have implemented these strategies to simplify your album workflow, you will see the increase in your productivity, which will lead to an increase in your profit. Keep reading for even more bonus sections, all relating to wedding album design and sales. When it comes to wedding albums, selecting the best images to use can be a time-consuming process. What can you do to speed up the process and include images your clients will love? 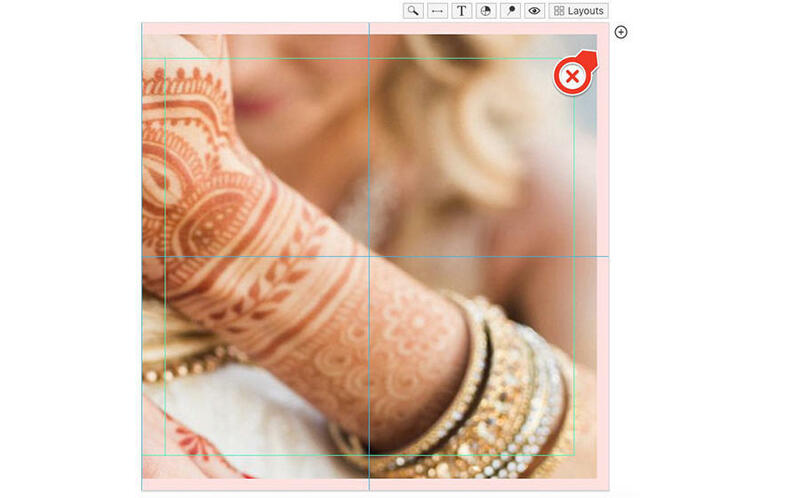 Here are some suggestions to help you quickly select images for albums. 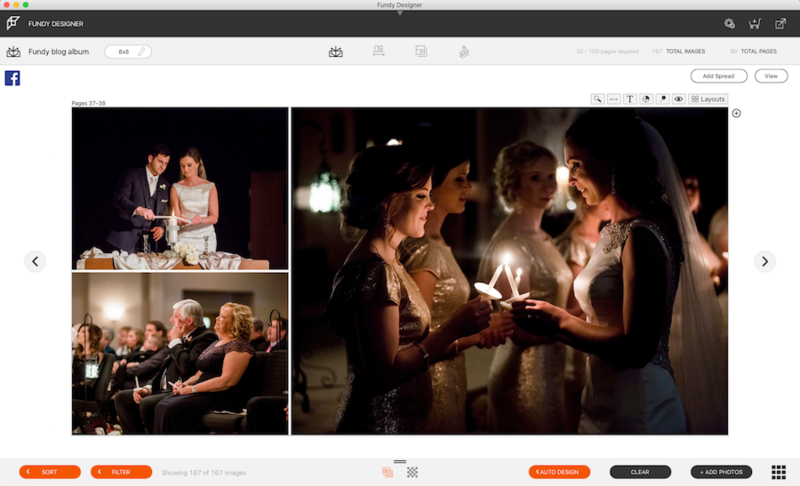 Once a wedding is over, make it a post-workflow goal to filter through all of the images as few times as possible. Between culling the images, reviewing the color correction from a photo editing service such as ShootDotEdit, you look at the same set of images several times. Rather than making another pass through the images to find the ones you want for the album, include this early on in the process. For example, as you review the color correction on your images, create a Collection in Lightroom to place the images you want to include in the album. As you are scanning through the images, you can quickly add images into this collection. This will keep them organized and easy to view. Just as it is important to be selective during the culling process, the same applies for wedding albums! Be selective and choose images that highlight the most important moments of your couple’s big day. An average size album can include 100-120 images, so the selection process is crucial to master. Choose a few from each part of the day, giving a good variety and eliminating images that look too similar. Remember to choose quality over quantity. You want to use images that set the tone for the wedding day and show off your best work. The more selective you are on the front end, the less time you will need to spend reducing your image selection later. One of the great things about wedding albums is that they are physical items clients can put on display and share with family and friends. Because of this, you want the images in the album to highlight the best moments of the wedding day. Pick images that represent important, emotional moments. Did the bride tear up as her father shared his toast, or did the groom’s grandparents have a proud smile during the ceremony? You spent time during the wedding ensuring you captured these significant moments, so be sure that these make it into the album. 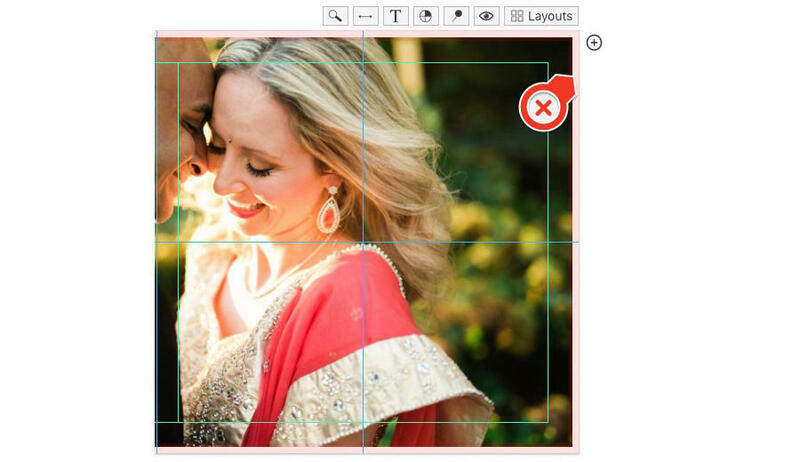 Additionally, detail images are essential for the wedding album. From the bouquet to the favors, the cake to the table arrangements, your clients will want to remember the hard work and attention to detail they put into their wedding day. Quickly selecting the right images for your albums is a key to the growing your business now and in the future. Turnaround time is important, and the faster you choose images for an album, the sooner you can share it with clients. When you have other priorities on your plate and deadlines to meet, how can you speed up the time it takes to design wedding albums for your clients (and deliver them in a timely manner)? Writer and editor, Hanssie Ho, reached out to Fundy Software Customer, Ben Hartley of Style & Story Creative, to discover his tips to a fast design process. 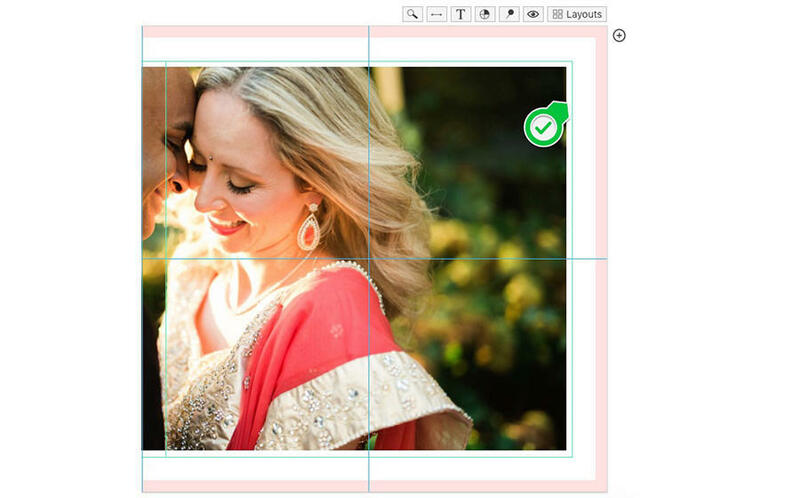 Continue on to read through his tips you can use for your wedding photography album design workflow. 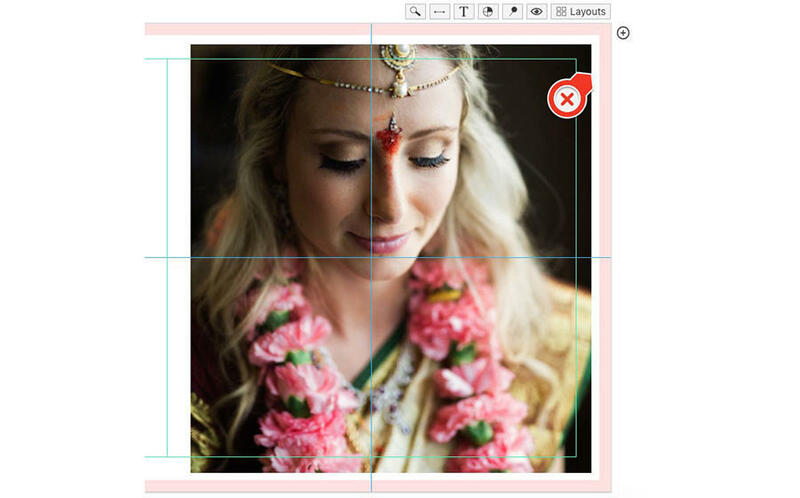 Designing wedding albums does not have to be tedious. Ben Hartley, founder of Style & Story Creative based out of Columbus, Ohio and one of 2017’s top 10 wedding photographers in the country, shares 3 of the best wedding album design tips to speed up your album design process. Ben tells us what he looks for while shooting the wedding which helps him quickly design the wedding album afterward in just a few simple steps. The first thing to have in mind while shooting a wedding, Ben says, is to remember the “supporting characters.” Supporting characters are important people to the bride and groom, such as the parents of the couple, the family members, and close friends. To tell a complete story of the wedding day, the album needs to include images of the supporting characters. An album filled with romantic images of only the couple can be beautiful, but it won’t chronicle the day and how it all unfolded. Encourage your second shooter to also look for those supporting characters, especially when you’re focused on the bride and groom. Many magical moments are missed because everyone’s attention is always on the couple, but if you and your second shooter try to remember the other important people on a wedding day, the wedding album will be more meaningful and complete. Instruct your second shooter to mostly be shooting the opposite of what you are shooting. They should be trying to get different angles and looking for different opportunities, not trying to get the same shot as you are, over your shoulder. This will give you a wider variety of images to choose from when it comes to designing the album. The Rule of Three is a design principle that states that when things are arranged in three’s, it is more appealing, effective, and memorable. This also applies to photography and wedding album designs, so train yourself to think in a series of three when shooting. When you are creating a portrait, make sure you create two more images, but with slight variations. When Ben is photographing a couple in a location with the same lighting, he will make sure he captures at least two other similar shots but with different nuances, poses, expressions, etc. Besides being pleasing to the eye, by creating sets of three similar images, it provides you with enough images to work with, it will give a consistency throughout the images, and it allows for “micro-storytelling” within the album. 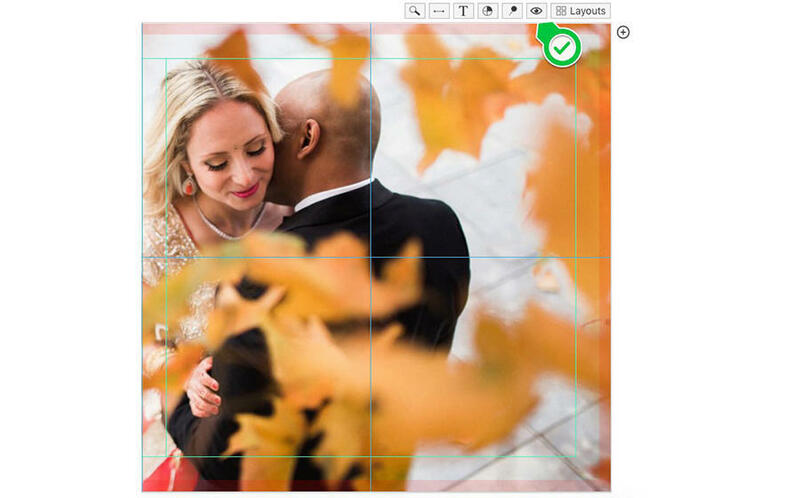 Another key for how to design a wedding album is to keep some of the backgrounds consistent while you’re shooting, especially when it comes to details. Wedding photographers love to take the detail shots in various creative spaces and it does make for some very interesting images. Though this may satisfy your need as an artist, photographing various wedding details, such as the shoes, rings, dress, flowers, etc., all in different locations and with a variety of lighting, makes it challenging to tell a cohesive story when it comes to the wedding album. Instead, when photographing details, Ben suggests that you find one area with good lighting or an interesting space and limit your options of backgrounds. Photograph all the details against this one backdrop. Doing this helps keep the images and lighting consistent in the album spreads. Lightroom or Photo Mechanic. Starting broad, he begins to narrow down the images until he picks the very best narrative storytelling images (the “needle”). Once Ben has sufficiently narrowed down the images he wants for the album and has them color corrected by a photo editing specialist, he opens them in Fundy Album Designer and uses the Auto Design feature to quickly create a foundation. The Auto Design feature makes designing the album very simple. With one click, Ben has a base to work within which he can then complete the final step. After using the Fundy Auto Design tool, Ben refines each spread and reorganizes the images to tell the story of how the wedding day unfolded. Because he kept the album in mind while he was shooting, the album design takes little time to create. The client will make any final changes before Ben sends it off to print. 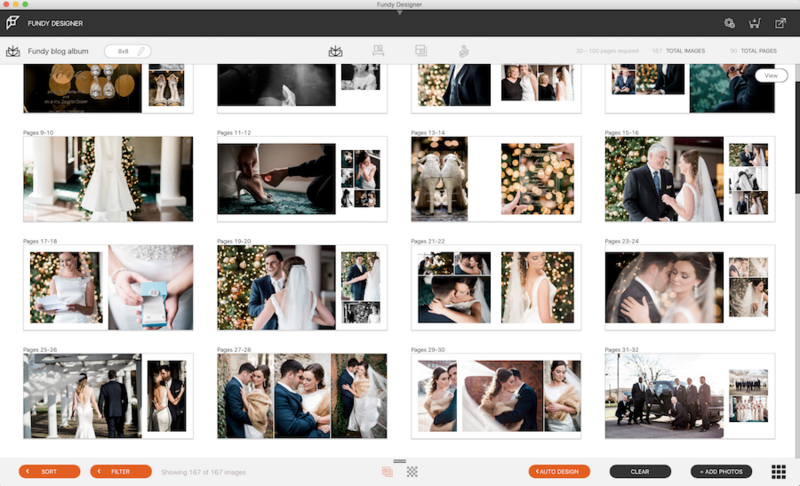 If you’re struggling with your wedding album workflow, try some of Ben’s tips for how to design a wedding album and take the tedium out of your wedding album design process. Hanssie has additional tips from Ben Hartley on how to increase wedding album sales for your photography business. Keep reading to discover Ben’s insights and find out how you can use them to feel confident with approaching album sales to bring in more profit. If you want to have a successful, thriving photography business, you need to have more than good photos; you need to be good at selling. Now, you may cringe at the word, “selling,” thinking of a negative past experience with a pushy salesperson. Without selling, your business won’t be able to sustain itself very long, no matter how terrific your images are. Below, Ben Hartley shares 3 of his strategies to provide better customer service and increase sales. It’s time to banish the idea that selling is a bad thing and begin learning some strategies that will help you increase sales to grow your photography business. Ben is a firm believer in the power of in-person sales. He almost always meets in person with his clients after the wedding or portrait session. When the clients come in, Ben greets the clients with a gift: a framed and matted print from their wedding or portrait session. If for some reason, the client cannot meet in person, Ben mails the framed print with specific instructions not to open the package until their online design consultation. This small, thoughtful gift sets the stage for the rest of the consultation, where he next shows the clients their images. 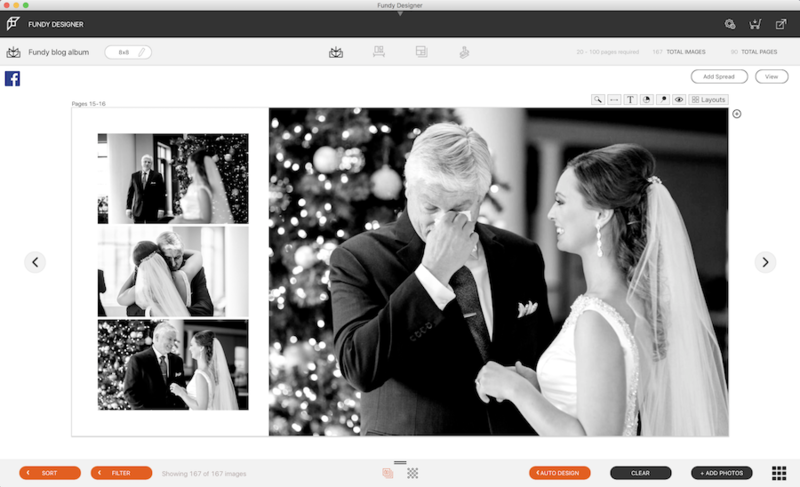 Instead of displaying all the images at once, Ben makes it a point to first show the clients their pre-designed wedding album or, if it’s a portrait client, around 20 highlights from the session. Ben uses the slideshow feature in the Fundy Designer to show the album design, photos, and even wall art. The slideshow allows for a simple narrative of the day. By presenting the images in this manner, he noticed there were far fewer requests for album changes, which made upselling much easier. Instead of approaching the design consultation with the focus on making the sale, Ben suggests to psychologically approach the meeting with the mindset that you are providing a service. Ben uses the “Bigger Picture” technique when he designs each album. He makes sure the album is bigger and better than what the client expected and what is included in their package. He designs more than what they need so the client can go in and, with his help, narrow it down. Changes, if any, are quickly and easily made in the Fundy Designer. “The sale” is the upsell of the additional album pages or cross over bundles. For example, Ben will say to his client, “You already have a 40-page 10×10 album and we’ve narrowed it down to a 50-page 10×10 album. Would you like to purchase the additional 10 pages?” If you’ve done a good job setting the stage, presenting the story of the day in those 50 pages, and have helped them refine the entire story, more often than not, the client will have already fallen in love with your album design and purchase the additional pages. There isn’t one, sure-fire way to increase sales and provide better customer service for your photography clients, but by implementing these strategies, you’ll be well on your way to more sales and referrals in no time. After the wedding day is over, the bride and groom anxiously await their images from the big day. 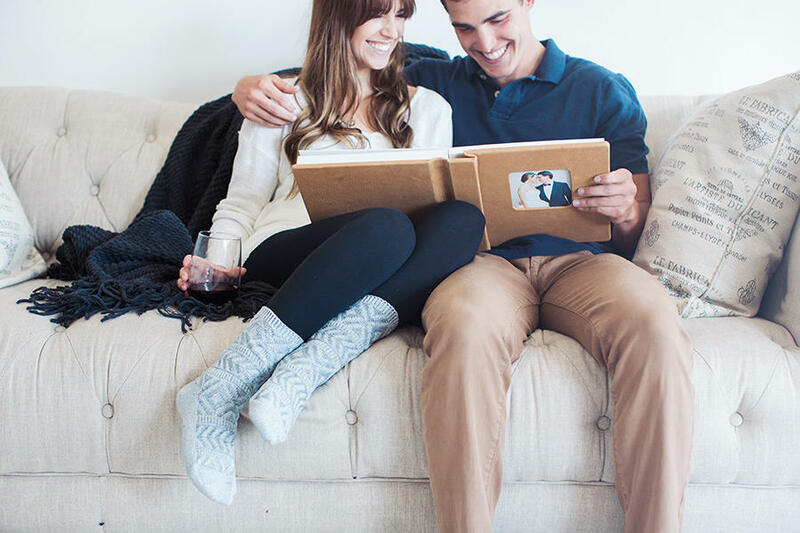 While providing the bride and groom with the images in an online gallery or DVD is a great way for them to see all of their images, many couples love to have a physical book of their favorite moments of the day. 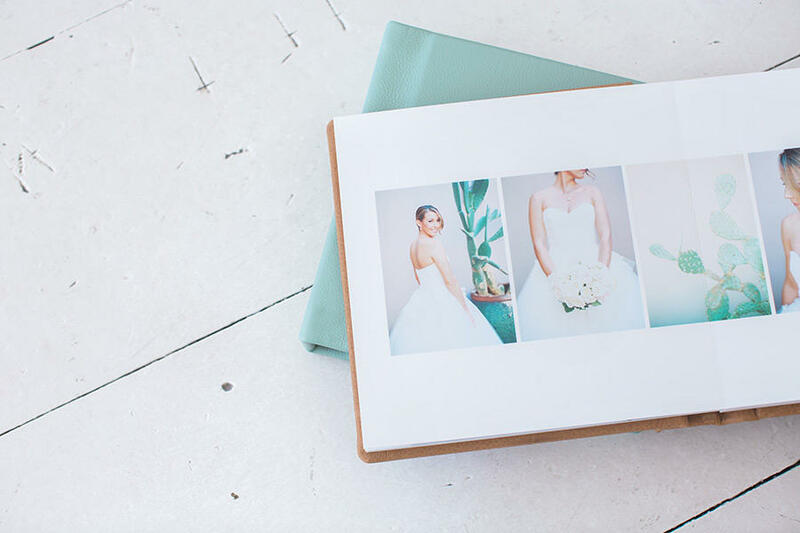 Creating a wedding album for them to display and share with their friends and family is a great way for them to remember the wedding day! This is also an opportunity for you to further show off your signature style. So how do you design an album that your clients will love and want to share with their friends and family? We’ve put together the top 4 album design tips that will keep your albums timeless and streamline your album design. A successful album will tell a story of the wedding day, from the bride and groom getting ready to the farewells as the couple heads to their honeymoon. Perhaps there was a funny moment that happened during the day that’s just too good to leave out, or you shot little moments throughout the day that harnessed a lot of emotion – those are the moments you want to include in the album for your clients to enjoy! 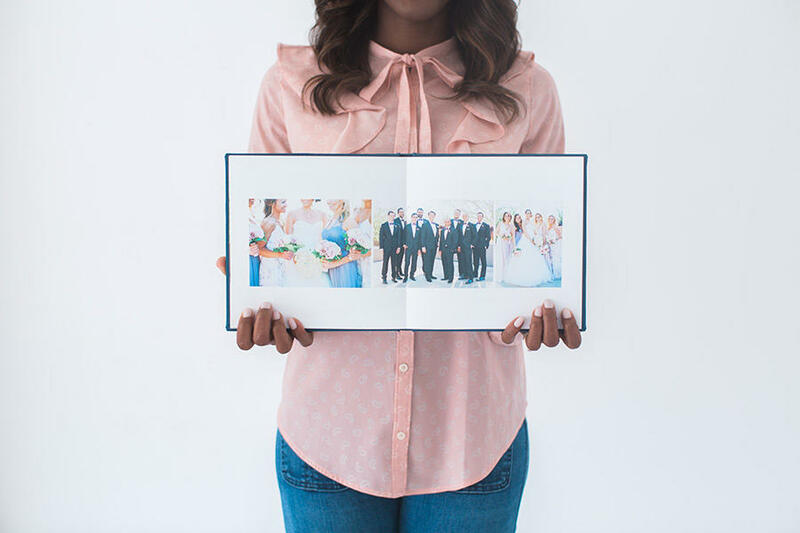 When it comes to placing the photos in an album, consider placing them chronologically to keep the timeline of the day moving forward throughout the book. Highlight certain images that are especially significant to the story by dedicating an entire page to one image. To create albums that are simple and elegant, our Partner, Align Album Design, recommends using white backgrounds. If you decide to use color in the background, be sure to match the background with the colors in the images. Keep your templates simple and cohesive on each spread – the template should act as an accent to the images and draw the focus to them. While you are shooting the wedding, you will take plenty of stunning images that you should highlight in the album. Not only will your clients love to see their favorite romantic sunset image displayed, but they will be excited to share the album with their family and friends to show off your work! Albums are a great marketing tool for you, so you want to ensure that you select images that best represent you and your brand. When it comes to designing your album and selecting the photos to use, less is more. As you choose the images that will be in the album, keep it to the best of the best. The fewer images per spread, the more importance you give each image. Remember, you do not need to fill each page with images to cover the empty space. Sometimes, white space on the page creates a unique style that allows certain images to stand out. Between focusing on shooting and your business, you are not expected to be a pro designer as well! Just like you can let ShootDotEdit take care of your post production for photography, there are options for you to trust a partner with your album design, such as Align Album Design. Remember, you want to spend time working on areas of your business that make you money, such as networking and marketing. Handing over your album design is a great way to free up some additional time for you! Implement these tips and tricks to help streamline your album designing process and grow your business. Are you making common album design mistakes? That’s something you may want to ask yourself when working on wedding albums for your clients. When you think about how to make a wedding album, there are several steps to follow. As one of the areas of your post-wedding workflow that takes a lot of time, it is important your album design process is streamlined and efficient. To help you identify and eliminate mistakes in your album design workflow, we connected with Andrew Funderburg, founder of Fundy Software, to gain his album design tips for photographers. Below, he shares how to make a photo album, plus common album design mistakes you might be making (and how to fix them!). Albums are probably the most complex product that photographers offer, but they are also the most profitable when you have a fast workflow and avoid costly mistakes. In this blog post, we’ll cover some do’s and don’ts with your bleed and cut lines, and some steps that can help speed up your album design time. Keep reading for wedding album design tips. Ever wonder how album companies get all the pages to line up perfectly when they bind their books? The simple answer is that they don’t. It’s impossible to get pages to line up with each other, especially when they’ve been folded in half and glued together. After gluing all of the pages together, and before putting on the cover, album companies use a large guillotine cutter to lop off the rough edges. This is where the guidelines come in. Album companies tell you, “If you keep your photos inside of this line, they won’t be lopped off.” Here are some tips for what that means when you are designing. If you think you’ll be safe by going just over the line, you are wrong. You could still end up with a strange white edge because the album company cut just before the edge of the photo. This is a dangerous area. 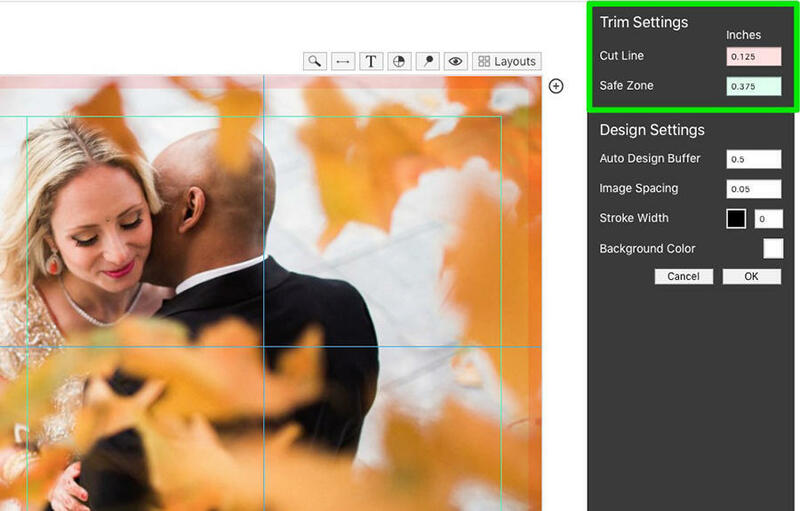 Keep your images away from the middle of the cut line and the safe zone. White space is your friend. Stay well within the safe zone and let your photos breathe a bit. 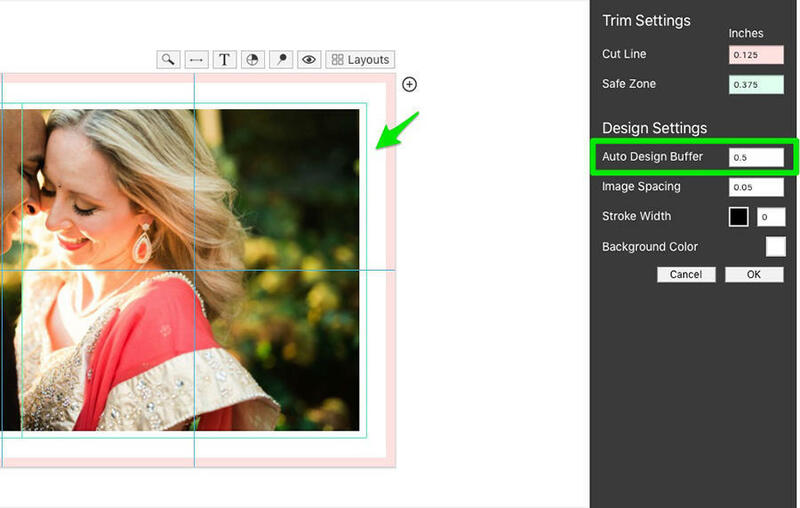 If you’re using Fundy Designer, we have the cut lines and safe zones encoded for many of the larger labs. For all other labs, we set a default of 1/8″ and 1/2″. You can change this in your album settings if needed. The page buffer is the distance between the cut line and the safe zone. You have complete control over this, and it is basically the distance your images will be from the edge of the page after the album is cut. Make sure to properly cull your images. One of the worst things you can do is start your album design process with 500-1,000 or more images from a wedding (all of your wedding keepers). Regardless of what software you use, it is cognitively impossible to be effective when dealing with so many images. Use a piece of software like Lightroom, Bridge, or Photo Mechanic to pare down your album selects to 80-150 images before starting to design. It’s extremely important that you get a good handle on cut lines, safe zones, and page buffers. Spend some time on the websites of your album companies learning their recommendations. However, if you’re using Fundy Designer, you can rest assured we load all the album sizes in there not just for every company, but for each album or book line that the company offers. 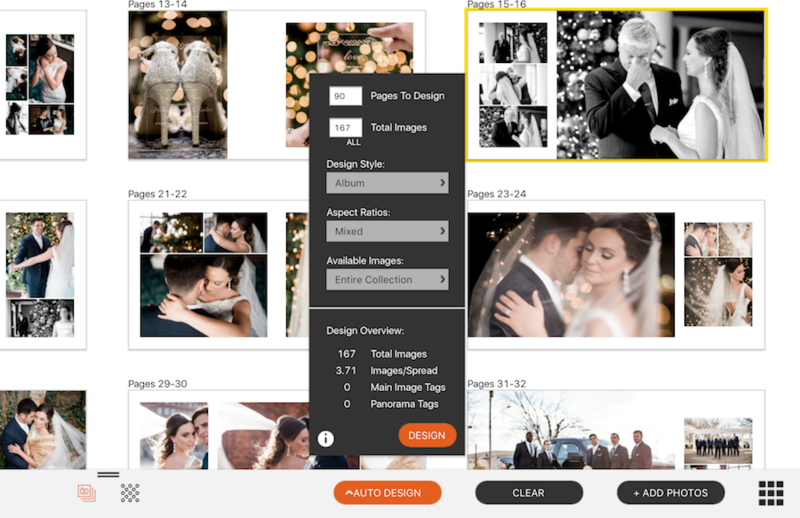 When you streamline your wedding album design workflow and utilize tools that are made to help you sell more, you can make more money and grow your photography business. What else can you do to get closer to your goals this year? In our How to Grow Your Wedding Photography Business Guide, we share 50+ pages filled with articles and insights from wedding pros geared toward specific parts of your business to help support your growth. Click the banner below to download your copy today!